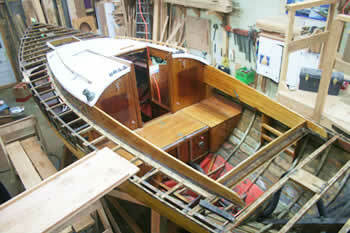 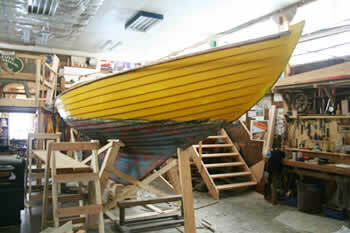 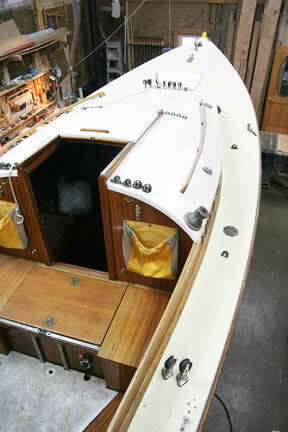 Inga is a 1969 Scandinavian Nordic Folk Boat sitting in Tony’s shop ready for it to be getting a new life. 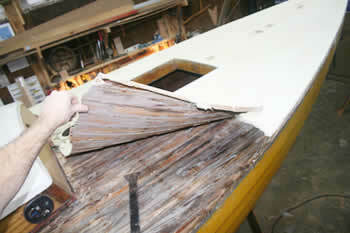 took 20 minutes to remove. 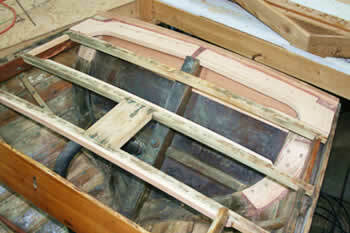 Repairs and re-fasting to all the deck beams, this image shows new half beams and the planking removed port side. 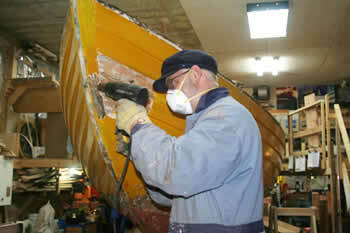 The owner comes over periodically to do some work, here he is the removing all the hull paint so we can asses the boat and give her new paint job that will make her look brand new. 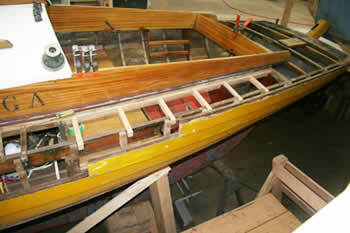 Where she had rot, a new top plank on the transom and the new partial framework and deck beam.